Bishop Naickamparampil, 56, heads the Syro-Malankara Eparchy of St. Mary Queen of Peace of the U.S. and Canada, which is based in Elmont, New York. Bishop Naickamparampil’s enthronement to head the Eparchy of Parassala is scheduled for Sept. 23. In the meantime, he will continue as apostolic administrator of the New York-based eparchy until Bishop Thattahil’s arrival. 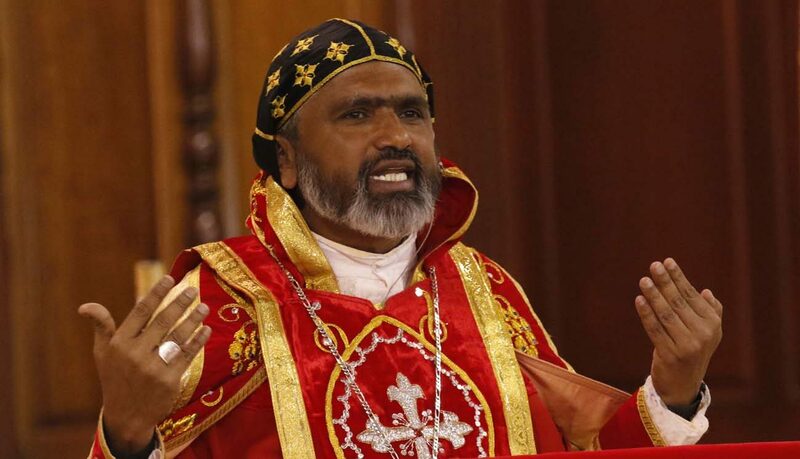 “The priests, religious and the lay faithful with much gratitude and prayers wish His Excellency Mar Eusebius and the new eparchy every blessing of the Divine Shepherd who always watches over his flocks through the successors of the holy apostles,” said a message posted on the eparchy’s website in response to Bishop Naickamparampil’s new appointment. The bishop was born June 6, 1961, in Mylapra, a village in Pathanamthitta district in the southern Indian state of Kerala. He was ordained a priest of the Archeparchy of Trivandrum, India, Dec. 29, 1986. He has a doctorate in philosophy from the Pontifical Gregorian University in Rome. Bishop Thattahil was born May 9, 1952, in Pathanamthitta, India, and was ordained to the priesthood April 27, 1979. He was appointed auxiliary bishop of Tiruvalla Jan. 25, 2010. His episcopal ordination was Feb. 9, 2010. Syro-Malankara Catholics began to migrate to the United States in 1984, settling first in the New York area. Today, the church has about 11,500 Catholics in 16 parishes and 15 missions in North America, served by 30 priests and 34 women religious. The Syro-Malankara Catholic Church is centered in southern Indian and serves about 500,000 Catholics. Parassala is in the southernmost part of this region. It is one of the two Eastern churches that, along with the Latin Church, make up the Catholic Church in India. The other is the Syro-Malabar Catholic Church. In October 2010, when he first arrived in New York to head what was then an exarchate, Bishop Naickamparampil said his duty was to help Syro-Malankara Catholics give Christian witness and enrich the American culture with their ecclesial presence. He pledged to cater to the needs of youths, saying the future of the exarchate depends on their involvement.